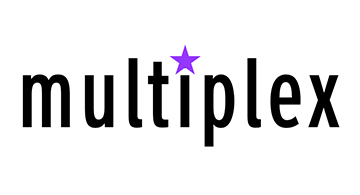 Multiplex is and app and a website (http://ReadMultiplex.com). Multiplex is an experiment, an experiment that will be on going. An experiment in publishing as I am not a professional writer nor will it be likely any contributors would be professional writers. Much of the content for Multiplex will be direct results from first hand empirical research that I am personally working on or other researchers are working on. Multiplex will also follow the work of other great researchers that are inventing new technology or new uses for existing technology. The experimental nature of Multiplex means that content can be dense and sparse at times. What we won’t do is write just to fill in space. We will aim to have regular content for the subscription area, perhaps monthly issues but it could be over 5 issues per month for subscribers. This means that if you choose to subscribe you are supporting the work of the writers and not an exact number of magazines. There will always be free content to be found under the News tab as well as the Twitter feed. Subscribers receive very early access to content, sometimes months before seen elsewhere. Some of this content will be actionable to the extent it can become a powerful strategic advantage to companies that apply it early. Using this app has an advantages for any user; push notifications. You will get instant updates on news flashes to new content and you can curate the notices you will receive. Frankly this was on of the fundamental reasons I built this app. The DNA of Multiplex will be firmly planted at the intersection of what is known and what is just becoming known. The nature of the content will be at the precipice of what learned experts think is possible and what is thought to be impossible. Some content in the past would have only been available under private consulting arrangements worth thousands of dollars per report.